Qualitrol offers the Serveron TM1 with the following options. > Moisture-in-oil and oil temperature measurement. Qualitrol provides utilities with the following services for our on-line DGA monitors. 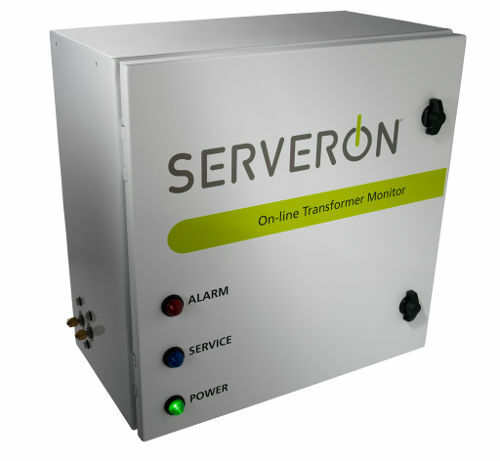 > Serveron® Monitoring Service (SMS) offers the convenience of secure 24x7 access to all of your Serveron® DGA transformer monitor data from any Internet-connected Windows PC running our SMS software. > A variety of service plans to ensure proper monitor operation over the long term. A variety of service plans to ensure proper monitor operation over the long term. Qualitrol offers the Serveron TM8 with the following options. Qualitrol provides utilities with the following services for our dissolved gas analyzers. > Turnkey Installation Services including Serveron TM8 deployment and TM View software user training. > Serveron Monitoring Service (SMS) offers the convenience of secure 24x7 access to all of your Serveron transformer monitor data from any Internet-connected Windows PC running our SMS software. > A variety of service plans to ensure proper analyzer operation over the long term.